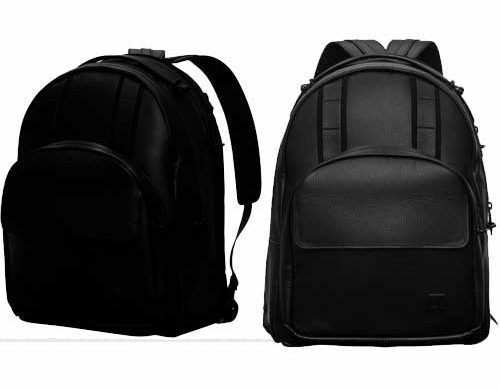 The Artist is a premium medium-sized backpack, great for transporting your 13” laptop and whatever else you need for a day around town, or as a flight carry-on. 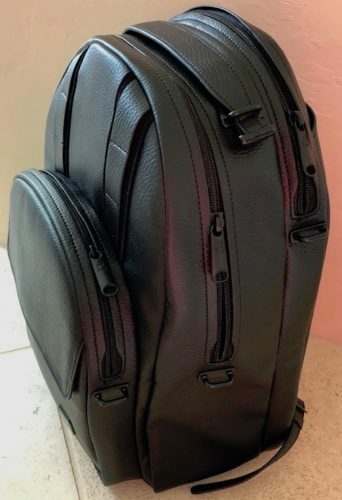 It’s made of sturdy, leather-like, water-resistant material with bonus features including adjustable padded straps, top handle, and quality zippers. The pack’s shape is structured, not floppy, so it’s easy to load and unload. The style is classy and conservative, and who doesn’t like the color black? I packed The Artist with my 13 inch MacBook Pro (the dedicated compartment is roomy enough for a laptop in a sleeve if you use one), a sweater, a few files, a couple of books, charger, a sweater, sunglasses, car keys, and my phone. With one large and one medium zipped pocket in addition to the computer slot, storage is very flexible. The front pocket with an easy magnetic closure is handy for quick access to your phone and/or keys, and a horizontal zip pocket under the straps is terrific for pencils, a flash drive, or other small items. The Artist arrives encased with an accessory, a fully rainproof fabric drawstring bag. 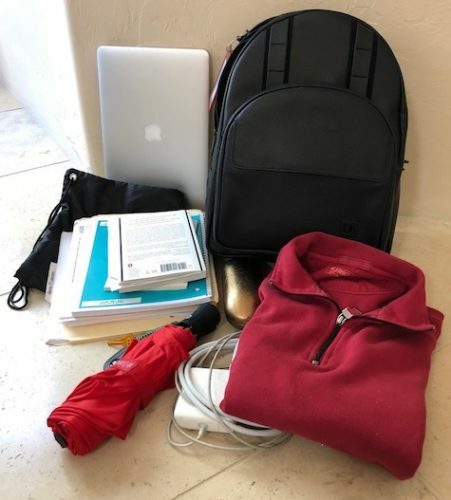 The entire backpack, fully loaded, can fit in the bag – but the drawstrings aren’t really a good solution to carry it, and the backpack is reasonably water-resistant on its own. The fabric bag will come in handy as an extra, packable bag if you return from a trip with more than you started out with. 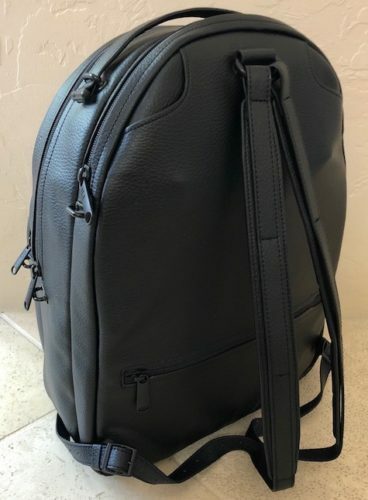 The price is steep, the company name is memorable, and The Artist gets a MyMac Review Rating of 9 out of 10 when money is no object and you need a pack that will serve you stylishly for years.